This week for Retro Game Friday I’m covering a really obscure game. It’s Opoona! Plot Synopsis: The planet Landroll was impacted by a large meteorite composed of crystallized dark energy. Half of the star, once lush and verdant, died from the impact, becoming the Deadlands. Life for the survivors changed drastically; the impact caused a shift in gravity, causing the sun to become tidally locked to the planet. Species died and vegetation withered in the heat; mysterious creatures, known as Rogues, emerged from the meteorite and began to attack people. Humans eventually built sturdy glass domes over Landroll’s surviving cities. Sanctuary, an island floating above the northern pole, was unaffected and habitable areas outside the domes became the wild lands. 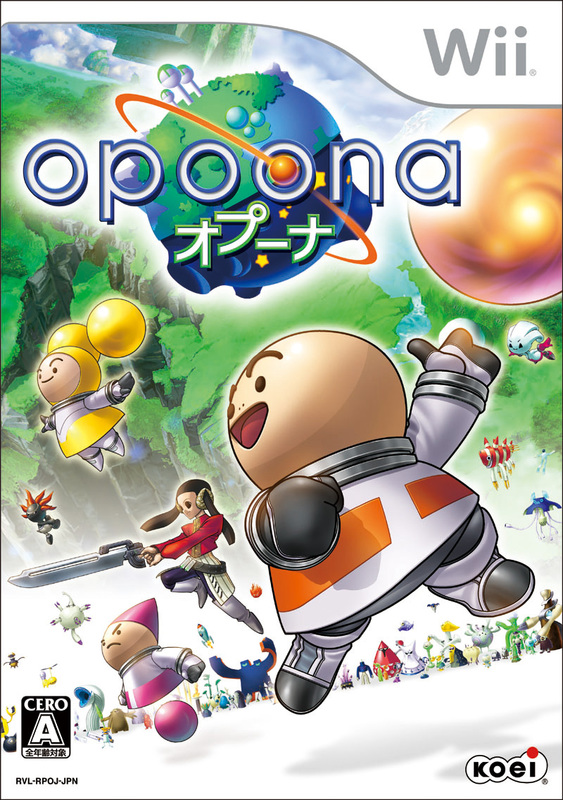 Several hundred years after the meteorite impact, Opoona and his siblings, Copoona and Poleena, are on a family vacation from the star Tizia with their parents, Momeena, Dadeena and co-pilots Troc and Noix, travelling in a spaceship to Landroll. Momeena tells Opoona that her brother, Roidman, lives on the planet doing research on how to reduce the Rogue population. Shortly after, the spaceship is attacked by mysterious dark energy, and the three children are placed into separate escape pods before the spaceship crashes on Landroll. Three days after the crash landing, Opoona awakens from a coma in Tokione Dome and is informed of the incident, and told that his parents are being treated by Sages in Sanctuary. Plot: The plot is okay, but rather simplistic. It’s not super amazing or terrible, but mediocre. That’s probably why this game is so damn obscure. Gameplay: The gameplay isn’t a classic turn based combat like you might expect of a JRPG. It’s closer to a Tales of Game, although maybe comparing it to Ni no Kuni would be better. If Ni no Kuni had no minions. Art: The art hasn’t aged well, which is to be expected of both a game that was made in 3D and a game made for the Wii. Sorry Nintendo lovers, but almost every third party Wii game looked like crap. Overall: An easily skippable game, that being said if you get the chance to play it for cheap or free, you might as well give it a shot right? For those who like: JRPGs, Simplistic Art Styles, Real Time Combat Systems. The set up for this game sounds crazy! I gotta check this out! Thanks for the review! Following your site.